Slim profile with contoured back. Go green! Fabric upholstery is made of 100% post-consumer recycled plastic bottles and is solution dyed in an eco-friendly process. 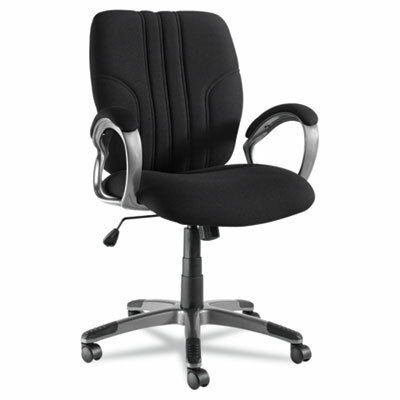 Slim profile with contoured back and integrated headrest. Padded armrests offer comfort and support. Five-star base with casters for easy mobility. Chair could contribute to the individual prerequisites and credits of LEED. Arm Height From Seat 7 7/8"
Distance Between Arms 21 3/4"